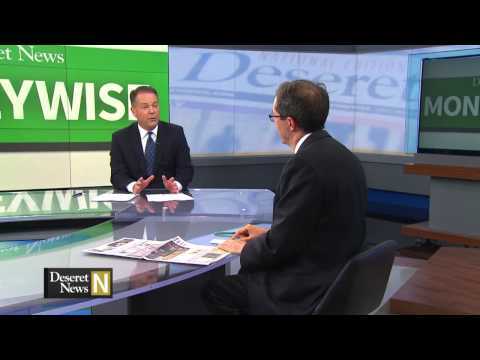 This week’s Deseret News National Edition features a discussion on the role churches are playing in the immigration crisis, a preview of a film promoting freedom of conscience and a visit with the president of the world’s largest seminary about training future preachers. As President Obama and other political leaders debate the fate of thousands of unaccompanied immigrant children, religious communities are reflecting on how to faithfully respond to the crisis. Amanda Rives is the advocacy director for World Vision in Latin America and discussed efforts with churches and community partners to supply resources to these children, where these children are coming from and the root cause of the problem and what to do about it. Casinos are a favorite stop for many older Americans. Financial writer Michael De Groote explains why some people believe they are being taken advantage of by the gambling industry. Everybody likes to win a prize. But in this story, the only winners are con artists. Just over the border, they're using big jackpots to steal money from aging adults. Debbie Dujanovic shows us how scammers con their victims to send cash to a foreign country. Some filmmakers get their inspiration from a childhood memory or perhaps a work of literature. Daniel Lusko said the idea for the movie "Persecuted" came from a dream. We caught up with him at the faith-based media summit in Beverly Hills and asked him what he hopes audiences will take away from the movie. In light of the recent announcement that "The Expendables 4" would be rated PG-13, many writers and bloggers are saying the rating has become "pointless" and is a "decision" made by studios to make more money. This isn't the first time movie studios have raised a few eyebrows because of the PG-13 rating, and it certainly won't be the last. But how much do you know about the MPAA and its rating system? Deseret News writer Herb Scribner gives a quiz to test viewers’ knowledge. It can be a challenge to be a preacher or lead a church these days. A growing number of people are holding onto their faith, but they have come to disregard their Christian churches. Dave McCann visits with the man leading the world's largest multi-denominational seminary where they are training future preachers and pastors to meet the challenges of the day. The Deseret News National Edition highlights Deseret News content centered around six areas of editorial emphasis: family, faith in the community, excellence in education, values in media and culture and causes related to helping the poor and financial responsibility. Each week, the program goes in-depth on these topics and brings insights from voices from around the country.